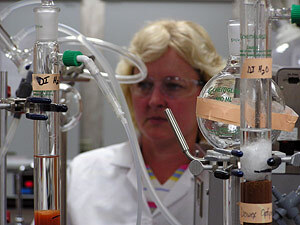 The blogs and bulletin boards are sure to be buzzing today with details of the University of Minnesota study on ethanol. It was billed in the Star Tribune as a study that showed corn ethanol no better than gasoline. That’s true, but the substance of the study showed that cellulosic ethanol is. According to a news release from the U, “the authors found that depending on the materials and technology used in production, cellulosic ethanol’s environmental and health costs are less than half the costs of gasoline, while corn-based ethanol’s costs range from roughly equal to about double that of gasoline.” The full study won’t be available online until next week. Cellulosic ethanol is made from plant and tree fiber. A company in Minnesota is testing cellulosic ethanol production and has been meeting with farmers to figure out a method of collecting the material that could be used. But the process may not be able to compete with grain-based ethanol in five to eight years, according to Minnesota Public Radio’s Mark Steil. Newer › Should music reflect the national mood or entertain us? I’m reading the U of M’s study right now. Just started. Ugh. I totally blame the corn lobby for the problems we’ve seen with ethanol. There are lots of plants out there that can be used to make it — I once dug through a study which seemed to show that, while we can’t grow sugar cane in Minnesota, sugar beets would be a much better source for ethanol around here (at least when you look simply at yields per acre — I’m not sure how much fertilizer and mechanical work needs to be put in to the equation). I once wrote to Governor Pawlenty because of what I’d read. It’s pretty clear that ethanol has a positive energy balance, but it was still a very gray area considering the side-effects. When you’re getting a 25% gain with corn ethanol, that still means that 4/5ths of your acreage is basically going into fueling the process. I certainly hope that cellulosic ethanol can work — it promises to flip that around so only 1/5th of the land will be needed to offset the energy input, and the feedstocks they use (hopefully *not* corn) should have higher density per acre too. Whether they’ll actually reach that level of efficiency is hard to see though. Well, enough rambling when I really ought to be working. “Growing” energy in Minnesota is a fundamentally flawed idea. Our growing season is short. It’s a very inefficient way to gather energy from the sun for the few months of the year it can actually be achieved. “Cellulosic ethanol is made from plant and tree fiber. I do not think this is the first study to say that cellulosic ethanol is better, I have heard it many times. The corn lobby seems to have gotten a foot hold. Look closer at the bills that help build ethanol plants, you will see they help if they use corn based ethanol. At least the ones I have seen in the past, can’t say I have read a ton of bills in the last 4 years (I did back in 2003 and 2004 when running for state house). You have to scratch your head and wonder what these guys at the U are thinking. 90% of Ethanol is used in a blend with gasoline to satisfy EPA Clean Air mandates. As for the energy balance, I am not sure what people are thinking there either. The major energy input into corn production is natural gas in the form of fertilizer. It could be said that corn-based Ethanol is an agricultural process for converting natural gas into a form that can be pumped into our gas tank. It is heck of a lot better than importing oil. There’s one problem with cellulosic ethanol, nobody knows what the cost will be since no one is producing it on a commercial scale. The studies that promise cellulosic ethanol as the holy grail of energy have not fully examined the cost of harvesting, transporting and storing the feedstock. Wouldn’t harvesting switchgrass off CRP acreage have a similar effect as harvesting corn?